Everyone in a bar is supposed to look at least a little jovial. Isn’t what’s on that TV fascinating? Aren’t you perfectly okay with how your friend is saying that same thing that always hurts your feelings? Isn’t it totally okay with you that your boyfriend is late, and you’ve been sitting there alone forever, feeling self-conscious? Well, sometimes the pretending works. I was feeling fine last night. All I had to pretend was that I didn’t care if anyone danced with me. Or perhaps I could trick someone into dancing with me. We had gone to a salsa dance. Not having anyone to dance with is like going to a restaurant and watching everyone else eat. I don’t enjoy watching other people dance at all. I just pretend to, and tap my feet. Like most people, I’m sometimes pleased by my couple status (that is, uncoupled) and sometimes wistful. At the dance floor, with no offers, I’m nothing but wistful. Luckily, five or six guys, who all looked like they might speak Spanish, were leaning on the bar that night. I would get one of them to dance with me, although I towered over all of them. I went up to the bar. I only had a dollar left, and I was already over budget. So I ordered a water. “How late does it have to be for you guys to start dancing?” I asked my target. Men at a salsa night are extremely likely to actually know how to dance (especially if they’re wearing cowboy boots or big belt buckles). And in my experience, many of them are so good at it that it doesn’t matter a bit if I am six inches taller. Once I danced with a guy who must have been five feet tall, and he spun me and dipped me. He just let go for the second when he couldn’t reach over the top of my head. I don’t know how he managed the dip. “Oh, you wanna dance?” my victim said. “Yes,” I said. 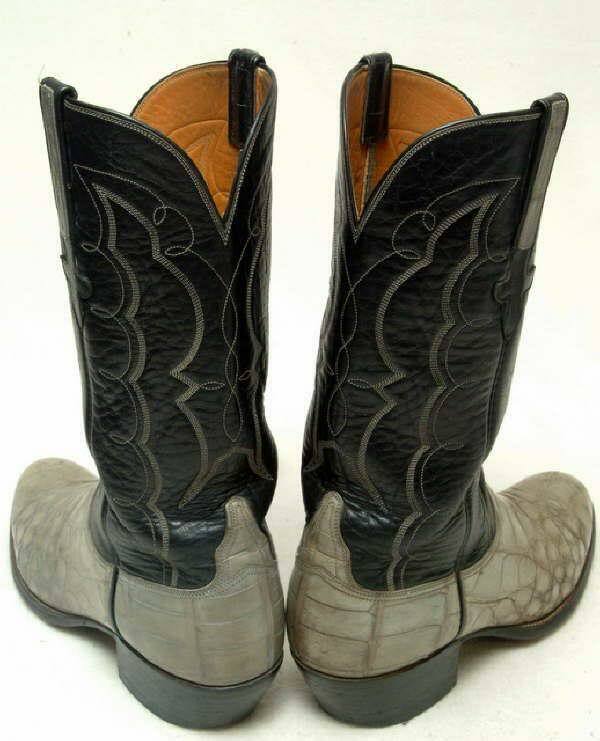 His cowboy boots were white, and looked to be of reptile origin. “Good! Good!” he said the first few times he tried out the fancier moves to see if I could do it. Encouragement from a dance partner means that I not painfully bad, but awkward enough to warrant encouragement. He was a great dancer, such a strong leader that he made me look good. He sweated like crazy, wiped his face with his handkerchief. The sweating and the wiping and the handkerchief– all lovely. And following is nice, too. Organized dancing is the only area of life left in which an adult can guiltlessly abandon assertiveness. Around and around. I got pleasantly dizzy. We danced two numbers, then we said thank-you, a charming little convention left in organized dancing. “You just need practice,” he said, in English that might have been broken– I couldn’t be sure, the music was so loud. “Not lessons, just practice, practice. You got to dance a lot. Practice, practice.” It occurred to me that his vocabulary sounded rather limited, and I wondered if he had understood my cute initial line, or just heard the word “dance.” It was awfully loud, for any kind of English. “Yeah,” I said. “I should.” I went back and sat with my friends to catch my breath and tap my feet. See, my deal is I can’t dance. I am happy for this encounter. “To practice,” it is encouraging, but it says also a bit,I think, what he/they don’t know they need to know/practice; yet all your desc. of dance-world are true and what many of us are missing.